Vote for coxsbazar as new 7 wonders. Hope you all know that on 07.07.07 the list of "New 7 wonders of the world" has been declared. Many of us voted his/her choices in the website. Many of us were enthusiastic about the matter, as we all have been listening about the Great 7 wonders of the world since our childhood. Now come to the point...The "New 7 wonder foundation" has started another campaign, named "New 7 wonders of Nature". You can nominate your own choice there. Can't we all try to nominate something from our own this time? May be we dont have something like Pyramid or Tazmahal...but this time, we have 2 of our assets..."Cox' s Bazar" and "Sunderban". Can't we spend few minutes from our valuable time to nominate these 2 greatest natural site from our own Bangladesh ? Please please please...at least we can try. Please fwd this appeal to everybody you know. We all can make this happen. 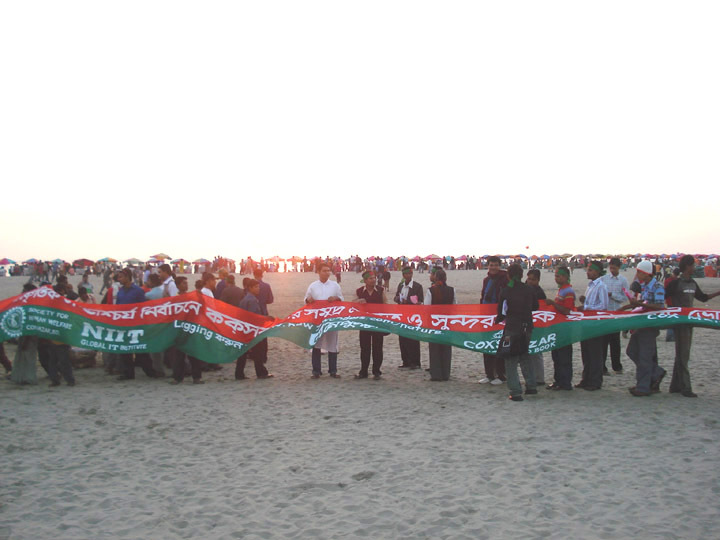 Re: Vote for coxsbazar as new 7 wonders.